I have been crafting as long as I can remember. My mom was a very active person, who always had several projects going, whether it was renovating a Colonial house, or teaching herself to quilt, all while running a day care with lots of extra children in the house. Growing up she would give me bits of paper, boxes of colored pencils, scraps of fabric, buttons, glue and scissors, and tell me to “go make something” with them. When I was eight or nine she took up quilting, and bought a new sewing machine. She gave me her old one and I remember making small quilts, potholders, placemats, and costumes with that machine for years. When we would be out somewhere shopping and I would see something I liked, she would tell me “You could make that…. Actually, you could make a BETTER one than that.” We would go find the supplies, and experiment until we did in fact make a better version of whatever I had seen. It seemed that when birthdays and Christmas rolled around as a kid, I always received craft kits, or art supplies. I liked the craft kits, but would usually end up just scavenging them for parts for some other craft I had dreamed up. The first thing I distinctly remember crafting were a set of Lacing Cards for my favorite aunt who was pregnant with twin girls when I was 4 years old. Someone had given me a My Little Pony lacing card set (one of those kits where you run the yarn through the pre-punched holes in the cardboard, outlining whatever the image was) and I remember picking out my two favorite colors of yarn from the kit and working on them on the porch with my aunt while she rested her swollen ankles. Even as a kid and a teenager, I never bought presents for people, I always made them. You work in so many different medias, what's your favorite? I don’t have an overall favorite, I just go through crafting phases. For a month I’ll do nothing but jewelry, then the following month I’ll be all about quilting. The only constant seems to be that I don’t usually do at home, the same craft I’m doing at work. I work as a costume designer and costume technician, which requires me to do a lot of sewing, but also a lot of unusual crafting, like dyeing, leather working, plaster casting, mask making. 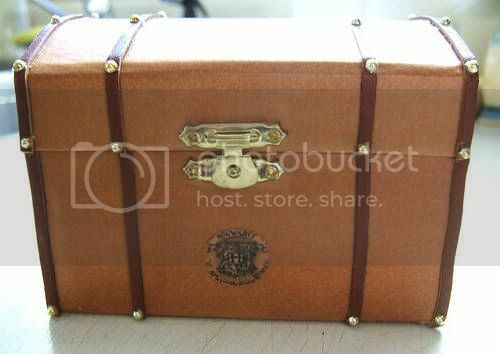 If I had to give you my top few crafts though, it would be jewelry making, quilting, cooking, and coming up with really random items like my Harry Potter Crafting & Sewing Magical Emergency Kit. I like really intricate things, that have lots of little parts and pieces to make match a theme. 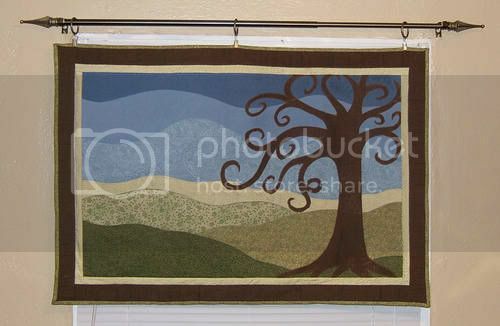 I get inspired by the beautiful things I see here on Craftster every day. I tend to browse the boards a few times a day, and bookmark my favorite items. I also am inspired by my friends who come over to craft with me on the weekends, and my swap partners. When I really want to get the creative juices flowing, I stalk a swap partner, or go through a favorite crafter’s profile or wist. I always love seeing anything new posted by Phizzychick, pinkleo, Knickertwist, and FoxyBlue, just to name a few. Do you have a crafty/creative philosophy? Surround yourself with things that make you smile, and put all your heart into a project. It will always show when you do. What other boards can Craftster members find your work? You can mostly find me on the Quilting, Jewelry, and Cooking boards, as well as in the land of Craft Swaps. What's your favorite creation that you've posted to Craftster? I have two favorites. 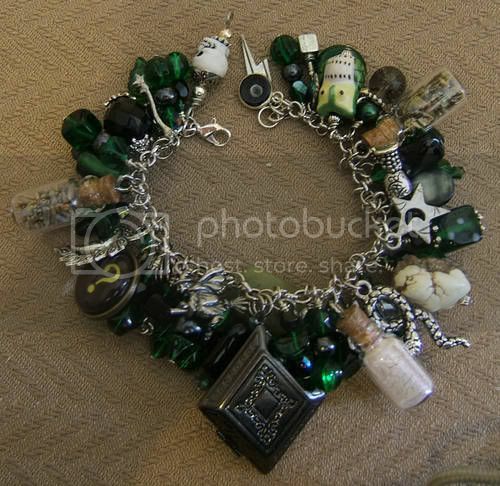 The first is The Potions Master Charm Bracelet that I made for SevsOnlyGirl in the Loaded Charm Bracelet Swap. I loved getting to go to so much detail in the project, and that it allowed me to push myself outside of my normal crafting comfort zones. 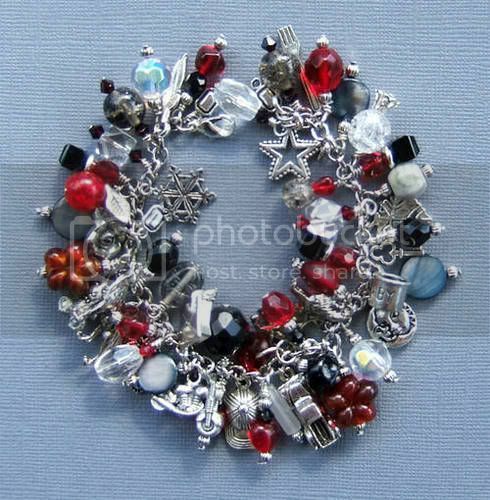 I tend to make lots of very orderly bracelets, with equally sized charms. In that one I just let my imagination carry me away. The second one is my Once and Future Valentine Shrine for my husband, James. He’s very supportive of my crazy crafting endeavors, and of my unusual career choice, which keeps me busy long after normal people’s quitting times. He’s picked up and moved across the country for me twice now, and though I tell him all the time that I love him, I made me so happy to make something something so personal just for him. What's your favorite thing on Craftster created by someone else? I hope you've all enjoyed a peek into the world of jennieingram! What a fun article! I loved reading all about jennieingram. She rocks. 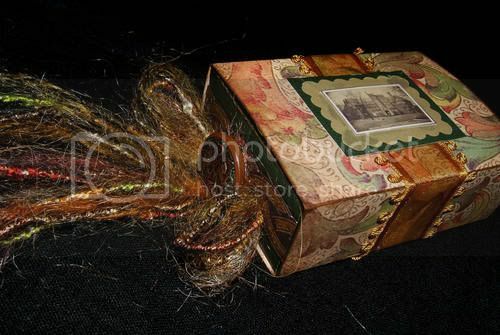 I love that Jennie posts all over Craftster - that's amazing! Aww!! I really enjoyed reading this! I loved learning more about her not only as an artist, but as an individual, too. Not to be all sappy, but it's really things like this that make us a community. Thanks for the interview, Sevs & Jennie! 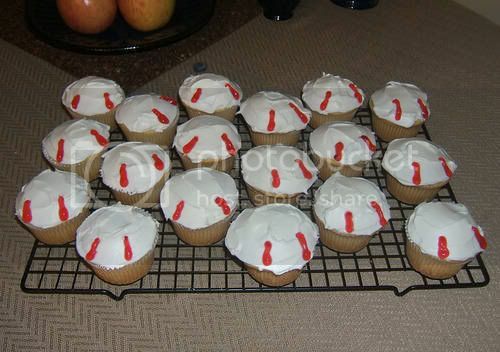 And sweets4ever, it's such a supportive attitude that makes us a community! jennie, you are a complete inspiration to me! SevsOnlyGirl, this interview rocks! Thanks!